Hi I'm Bob and welcome to Chickengear the web site that is for keeping chickens in your garden. Having kept chickens in my garden for more years than I would care to remember my obsession with these wonderful creatures finally reached a point that I had to pass it on to others. So in 2010 along with my brother Richard, who also shares my passion, we started Chickengear. 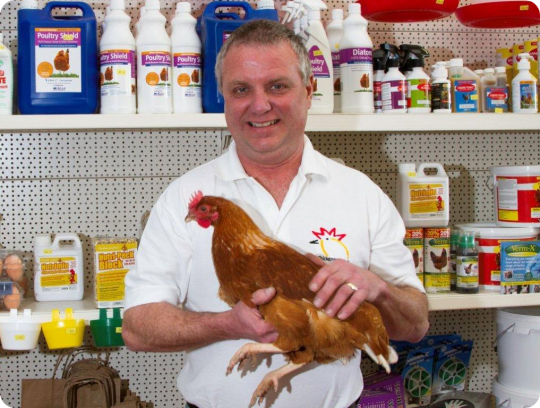 So if you are considering chickens for a few eggs or as pets then why not pop into our shop and have a chat. Our advice and help is always free and you can even hold a chicken if you wish!! Chickens will give you hours of fun and will entertain whole family. We are always available to help and the site has a lot of information along with a well stocked online shop. Just a few words of warning chickens are very addictive! !